A prominent radio personality based in Auckland, New Zealand, says NZ Met Services should take a leaf from the Fiji Meteorological Services in terms of timely and actionable weather warning. Prakash Prasad, better known as Prakash Radiowala, raised his concerns about media in New Zealand who were not able to warn the people of Auckland on the storm and gusty winds on Tuesday night. He posted a video on social media in which he said that the strong and gusty winds, which was up to 200 knots per hour, destroyed many houses, vehicles, uprooted big trees and the city was left without electricity as temperatures plummeted to 6 degrees Celsius for the night. “No media in New Zealand sent out a warning about the gusty winds,” Mr Prasad said. “They advised on the cold weather, but could not warn people of Auckland on the gusty winds. “I suggest they should go and learn from the Fiji Meteorological Services and Fijian media who were up to date providing the weather updates. “If the cyclone comes, the Fiji Met could predict all the possible directions it passed through beforehand. 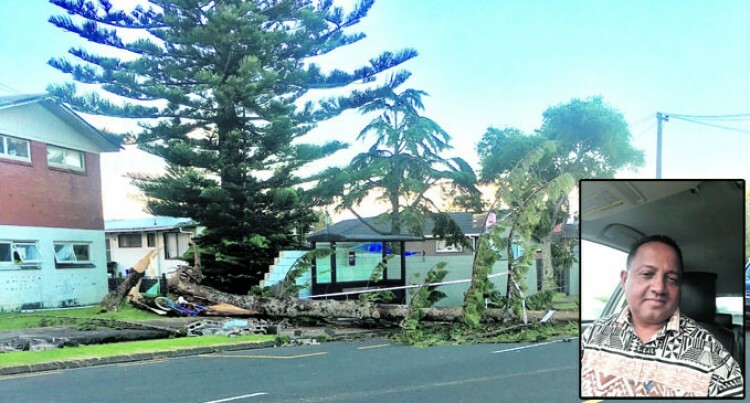 “There was a lot damage by the gusty winds in South Auckland. No one could predict the tornado,” Mr Prasad said. He said the gusty winds started out of nowhere and lasted for almost half an hour, causing big destruction in Auckland. “It destroyed many houses and vehicles. Many of them have insurance, but some do not,” Mr Prasad said. “There was no electricity in the cold temperature for the entire Auckland city. “People with their children shivered in the cold the whole night due to the power outage. “We rely on the media to provide us with updated information especially on weather so we are prepared for it beforehand,” Mr Prasad said.